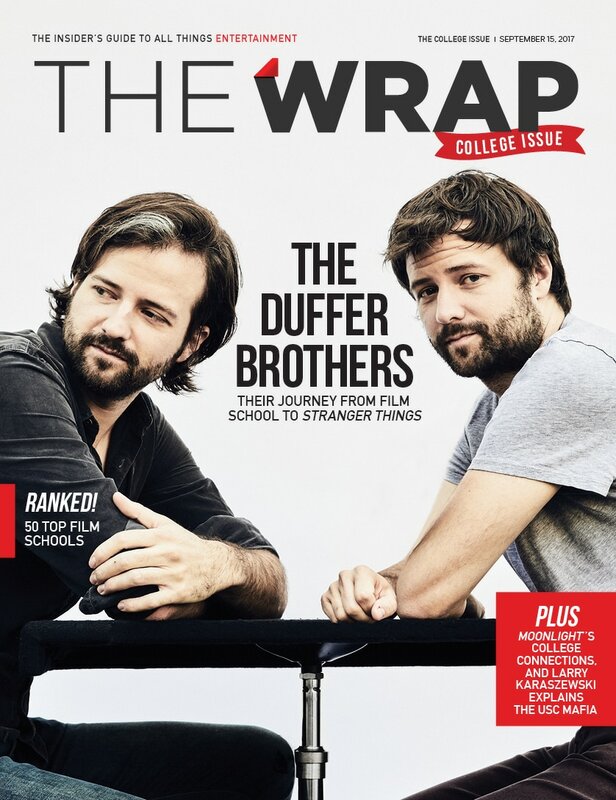 A version of this story about the Duffer brothers first appeared in the college issue of TheWrap magazine. There’s a copy of TV Guide from 1983 on the coffee table, a box of vinyl toys on the floor, three or four dogs wandering the halls and a solar eclipse happening outside this tidy two-story bungalow in the heart of Hollywood. In other words, it’s just another day in the offices where Matt and Ross Duffer oversee the Netflix series “Stranger Things,” a 1980s-set Stephen King-meets-Steven Spielberg mashup that in short order became a cult item and then an 18-time Emmy nominee for its eight-episode first season that premiered in July 2016. “Stranger Things” made the Duffer brothers two of TV’s hottest newcomers. The breakthrough comes a decade after the 33-year-old North Carolina twins graduated from the Dodge College of Film and Media Arts at Chapman University, a lavishly appointed school an hour south of Los Angeles in Orange County. The brothers took time out from overseeing final edits on Season 2 of their show, and graciously opted to ignore the eclipse in favor of talking to TheWrap about their college days and their journey. When did you know that you wanted to study filmmaking? MATT DUFFER We decided around fourth or fifth grade that we were going to go to film school. ROSS And in the end, Chapman was exactly what we wanted. How did you become aware of the school? ROSS It was a friend of a friend who worked at a production company. He was very nice and toured us around the studio and then mentioned Chapman. And we had never even heard of it. It was sort of just one of those fluke things. Did you apply to a bunch of schools? MATT Yeah, I think we went to every major film school. We did get into Florida State, and they have a very good, very intimate film program. But one reason we didn’t go to Florida State is because — and I get why they do this, by the way — the first year you’re just taking regular classes, and then the next three years is full-on film school. And we wanted to start making stuff right away, because we were too antsy. Oh, and Florida State said they didn’t want us working together, that we would have to be working separately. ROSS That was a deal-breaker. ROSS We just don’t function that well apart when making these things, whether it’s writing or anything. MATT We don’t even know how we work alone. We started making movies in the third grade. That’s how we developed, as a team. I didn’t really have any interest in developing my skills separate from him. Chapman said we could work together, and they also said, “You’re gonna get a camera the first day and you get to start making stuff right away.” And it was true — we got a camera right away and I learned Avid within the first two weeks. And so, in that sense it was exactly what I wanted it to be. What was the most important thing you learned in school? MATT We had never worked on a set before. I didn’t know what a grip did, I didn’t know how a set functioned at all. So I think the biggest thing we got out of film school was you worked on these sets that were these perfect microcosms of what a real set was like. ROSS And you start low, so you’re pushing the dolly or whatnot. MATT You got to push a dolly? I don’t think I got to push a dolly. ROSS Yeah, that was my favorite below-the-line position. And strangely, by the time we got out of school and ended up on our own movie set, we understood how everything worked. MATT It was actually shocking to me how close the experience was. I mean, there were more trailers, more people, more money being spent. But otherwise it felt like a really close approximation of what a real set is like. Is there anything you wish you had learned in film school that you didn’t? MATT Well, they put a lot of emphasis on film festivals, aspects of it I think are kind of a waste of time, honestly. [To Ross] What else do we wish we had learned? ROSS We had this idea, and I think a lot of people did going in, that you can make some short film and it’s going to get industry attention and that’s going to be your thing. And it was only later on at school that we realized that’s very rare that a short film is going to capture the attention of anyone. So while they’re useful and necessary as learning tools, we realized that the best way to break in was to write. We were so focused on the production aspect of it that it wasn’t until later in our college experience that we realized we needed to focus on writing. And once we did, that sort of became our way into Hollywood. At what point did you start thinking about how you’ll get into the business? ROSS Chapman pushes internships a lot, and starting the summer of sophomore year we started interning because we knew that was the best way to make connections. And we spread out — we didn’t intern together. MATT Everything else we did together, but we didn’t intern together. ROSS We made separate connections. And we were writing scripts, too, so by the end of senior year we gave our scripts to everyone we made connections with. And one of them, Franklin Leonard, who worked at Leonardo DiCaprio’s company, read our script and got us our agent. MATT I spent years making photocopies and answering phones and doing all of this for free while in school, and none of those people helped me out when I gave them those scripts. But all you need is one person to come through for you, and that was Franklin, who was Ross’ connection. Thank God we spread out. ROSS We did have the plan going in. I just can’t believe it actually worked. From the outside, it seems as if you’re young guys who must have come out of film school and been successful right away. But from your vantage point, it must not feel that way. ROSS I think it was about four or five years before we made any money doing anything creative. For us, that felt like eternity. When you look at it and see, “Oh,they made their first movie at 27,” you feel like a jerk saying it felt like forever, but at the time it did. It feels like you’re not going to break through, especially when you’re going around and pitching ideas and you get rejected, rejected, rejected. For that movie, and for “Stranger Things,” we said, “You can’t have this unless we direct it.” I have found in Hollywood that if people are offering you money and you tell them no, they go crazy. They want it so much more. MATT Very little. I mean, we’re movie guys, and from the very beginning we thought of it as a sequel more than a television Season 2. 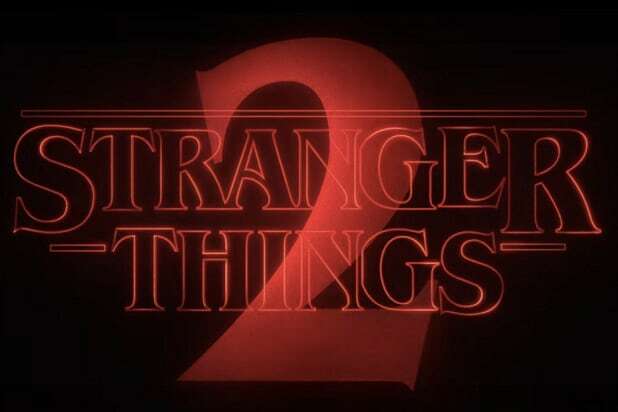 That’s why it’s “Stranger Things 2.” It’s building off a lot of the ideas we established in Season 1, but it’s introducing new threats, new stakes, and the idea is to resolve that more or less by the end of the season. We have new characters coming in — a new girl named Max comes into the school and becomes a part of our core group of kids. ROSS It’s certainly bigger. The nice thing is we don’t have a kid disappearing in the first 10 minutes, so everybody’s not always turned up to 11 trying to save their friends. It allows us to experience these characters more in their normal life for a bit, and have some fun with them. But then once things go wrong, we really escalate the stakes quickly, and it gets pretty crazy toward the end. OK, you’re the one who used the number 11, which also happens to be the name of Millie Bobby Brown’s character. She disappeared at the end of the first season, but I imagine that in the world of “Stranger Things,” that doesn’t mean much. MATT Exactly. Was it James Cameron who said, “No one in sci-fi is ever really dead?” She was always going to be a part of Season 2, and she very much is. ROSS I think her journey this season, though, is not what people will be expecting. We discovered how incredible Millie Bobby Brown was last season, so we’re really leaning into her a lot this season, and putting her into some pretty intense places. And she crushed it. Do you have any thoughts about when and how you might end the series? MATT Yeah. We have a goalpost, I guess. We have an end in mind. Four seasons. Five, max. We don’t want it to be going on particularly long, I think, for our own sanity. I have to be excited about it every year, and I think our actors have to be excited about it every year. It can’t just turn into a job, because then I think it’s going to start to suffer and just die a slow, sad death. As opposed to, “Let’s end this while we’re still excited about it and the viewers are still excited about it.” We’ll see if Netflix goes for that, but they seem to. [Laughs] They pretend to be into the idea of that. Go here for more from the college issue of TheWrap magazine. Season 1 of Netflix's "Stranger Things" left fans with a lot of questions. Now that information is finally trickling out for Season 2, fans are formulating all-new theories to make guesses about everything from what the Upside Down is to who Nancy Wheeler will end up dating. Here are nine of the most interesting. The Super Bowl 51 trailer confirmed what everyone suspected: Eleven (Millie Bobby Brown) survived her encounter with the Demogorgon creature in Season 1, and she'll be coming back in Season 2. Show creators Matt and Ross Duffer said we'll see more of Elle's background and origins. It seems very likely that finding and saving Eleven will be another element that looms large in Season 2. She said it herself in an early episode -- that she's the monster. We discover more toward the end of Season 1 during a flashback, when Elle touches the faceless creature for the first time through a sensory tank at a government lab. It's that contact with the Demogorgon that has fans thinking that's when she was infiltrated by its darkness. The idea that there's more to her relationship with the monsters is gaining some traction in Season 2. Fans paid very close attention to the final "Dungeons & Dragons" game of Season 1, in which Will defeated a creature called the "Thessalhydra." Like the hydra of Greek myth, the Thessalhydra has several heads. The giant creature shown in the Super Bowl teaser looks an awful lot like it could be a multi-headed hydra monster. Sure, the show ends with Nancy (Natalia Dyer) in Steve Harrington's arms, but one observant fan noted her distant stare. Just seconds prior, she had given Jonathan (Charlie Heaton) a still camera to replace the one that Steve (Joe Keery) broke in an earlier episode. Jonathan and Nancy were the ones to team up against the monster and Steve only barged in on their plot unwittingly at the last minute. The two have a strong connection. The small amount of information trickling out about Season 2 has confirmed one thing: Barb's dead. Bummer. The Duffer Brothers said Barb will get justice in Season 2. But Barb's disappearance sounds like it looms large over Hawkins. It also sounds like Sheriff Hopper (David Harbour) has been covering up the circumstances of Barb's death and Will's disappearance to protect the Byers family. We see Will cough up one of those slimy things from the Upside Down world in which he resided for nearly the entire season. Then the bathroom in which he's standing flickers, bringing the world's creepy darkness into view momentarily. If the above fan theory No. 2 is true, it stands to reason that since Will was in contact with the faceless monster, that he too has a touch of its evil inside of him. Clips from the teaser suggest to fans that Will has some connection with the giant Season 2 monster shown there. He's spotted stepping into a car with a couple of the bad guys from the lab. Earlier on Hopper cut a deal with them to keep their nefarious secrets under wraps in exchange for Will. Some fans think he's infiltrating the organization in attempts of taking it down while others think he's rejoining the team after a long absence as a federal agent. The Duffers have suggested Hopper is helping cover up the events of Season 1, and that seems to add more credence to this theory. Fans are still trying to figure out what the Upside Down actually is. One suggestion: it's not another dimensions, its Hawkins' future. The supposition is that, somehow, Eleven tore a hole in the space-time continuum, allowing bits of a potential future to flow into Hawkins to create a time loop. The future she's seeing? It's Hawkins after the site has been nuked by the U.S. government to stop the giant mutant creature from the teaser, and the Upside Down. An even better theory to explain the Upside Down is that it's an alternate dimension, but not a necessarily malignant one. The Upside Down looks like Hawkins because it's just an alternate version of the town where people live. The gross tentacles, the creatures, the slugs, and the toxic atmosphere are symptoms of an invasion from a third dimension. This invader destroys life. Eleven attracted the invasion, but it's still in the early stages of taking over Earth -- until Season 2. This theory takes a little heavy lifting to get to, but YouTuber Planet Calvin lays out a fairly compelling case for it. It centers hints in Season 1 that maybe Hopper's memory of his daughter Sarah's death from cancer isn't really what happened, but a lie he tells himself. The timeline of what happened to Hopper's daughter also matches fairly well with the timeline of what happens to Terry Ives, Eleven's mother, if you look for some clues. Planet Calvin does a good job of breaking it down in two complementary theory videos you can watch here. At the very least, Planet Calvin has probably picked up on some minor details that might actually be pretty significant in the future. This one just makes some thematic sense from a narrative standpoint, but it stands to reason that if Will has been taken in by the monster-ness of the Upside Down, Eleven is the only person equipped to deal with it. A showdown is one way it could go; another is the pair of them trying to figure out how to deal with their dark, conflicted natures together.